With the New Year approaching, The United States Golf Association and The Royal & Ancient are preparing to roll out a new set of rules for the golf world. Condensing it’s old set of rules from 34 to 24, both associations will be playing by the same set of rules come 2019. There is one rule in particular that sparks our interest here at Cool Clubs and it states: there will no longer be a penalty if a ball played from the putting green hits a flagstick left in the hole. Currently, there is a two-stroke penalty for striking the flagstick with a stroke from the putting green, but starting January 1st, you will find players are then able to choose their fate free of penalty. Are Golfers Aware of Coefficient of Restitution (COR)? In general terms, many golfers understand the concept of COR, but most of us don’t call it that. When a driver face impacts the golf ball on a tee, there is a transfer of energy between these two masses resulting in a “trampoline effect.” Others might call it the “spring-like effect,” but that’s quibbling over semantics. The greater the trampoline effect (a higher COR), the greater the transfer of energy from the driver to ball, and the ball should go farther. Everyone no doubt wants more distance off a “hot” driver face. COR has now become a discussion among golfers as it relates to the flagstick. Although the USGA and the R&A will give golfers the option of leaving the pin in the hole while putting without penalty in 2019 and beyond, there’s one tour player who is especially interested in taking advantage of the ability to keep the flagstick in the hole when putting. 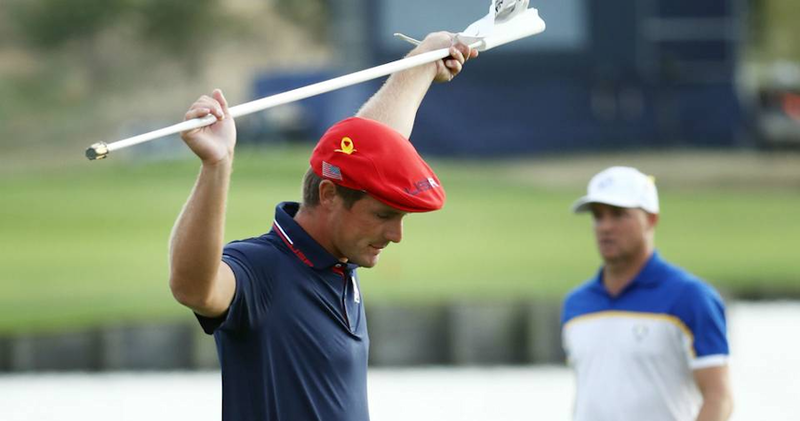 It is no surprise that it’s today’s Golf Scientist, Bryson DeChambeau. Bryson studied physics at Southern Methodist University and has already shown us that his scientific approach to golf is in fact working. Whether it’s his drawing compass that was deemed illegal or the same length irons he utilizes out on the course (that conform to the current rules), Bryson takes a unique but science-driven approach to his game. Some may argue that this might affect the pace of play if one player prefers to use the flagstick while putting and others choose to stay within the old standards. There is also the counter argument that if most people are in agreement of adhering to the new rule, it could be easier to leave it in and continue play in a more timely manner. We’re on the edge of both sides here at Cool Clubs and can’t wait to see what excitement this will bring to the game next year! What are your thoughts? Email us at info@coolclubs.com.